Mechanicsburg Rotary students for the month of February were introduced on February 6th and were interviewed by Amy Bockis. 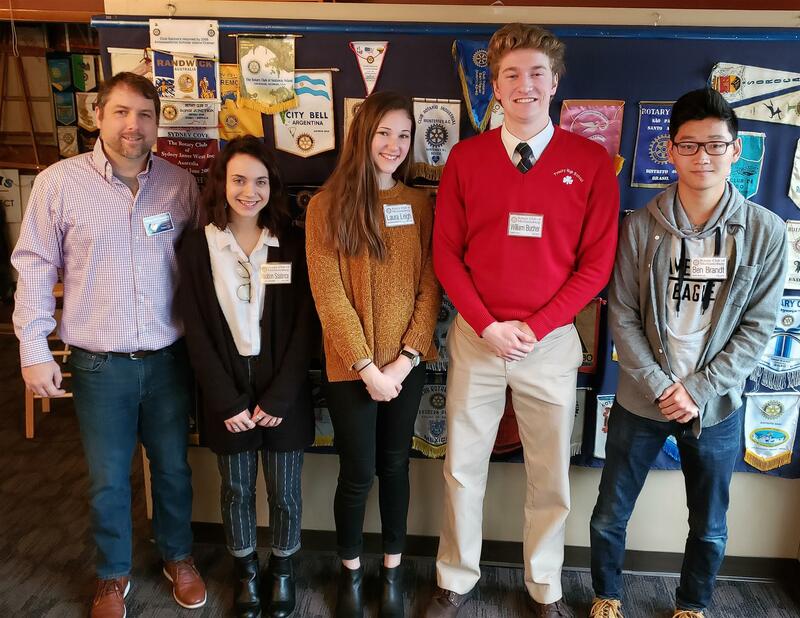 2/6/2019 - Pictured above (left to right): Mike McConahy, Club President; Madison Scialanca, Messiah College; Laura Leigh, West Shore Christian Academy; William Bucher, Trinity High School; and Ben Brandt, Northern High School. Not pictured: Anika Craddock, Cumberland Perry AVTS.